Is truth subjective or is it objective? Are there truths that are absolute? We have sliced and diced the truth so much that it’s not the truth anymore. Mankind’s truths are subjective and based upon experience and opinion. Not in all cases, but in many ways we justify our sins such as abortion and say, “Well, it’s best for the mother” or “It’s not really a child until it’s born” but this is not what the Bible teaches. David said, “Your eyes saw my unformed substance; in your book were written, every one of them, the days that were formed for me, when as yet there was none of them” (Psalm 139:16), showing that God knew David as a person, even before he existed. And most certainly after he existed, as he writes, “you formed my inward parts; you knitted me together in my mother’s womb” (Psalm 103:13). David adds, “My frame was not hidden from you, when I was being made in secret, intricately woven in the depths of the earth” (Psalm 139:15), establishing the personhood of David, even while he was being formed in his mother’s womb. To claim that abortion is permitted since it’s not a “human being” is contrary to biblical teaching. They hold to a subjective truth that abortion is permissible when the objective truth is, it is not (Ex 20:13; Psalm 103). Subjective truth is dependent upon the person’s beliefs but it varies widely and so it’s obviously subject to error. If we believe there are many paths to God (which many teach), we are stating subjective truth, but when we say there is only one name given among men that we might be saved, and that is Jesus Christ (Acts 4:12), we are stating objective truth. I once heard an agnostic, who is a person that may believe in a god but not a personal god or does not know if a god exists, said that there are no absolute truths. 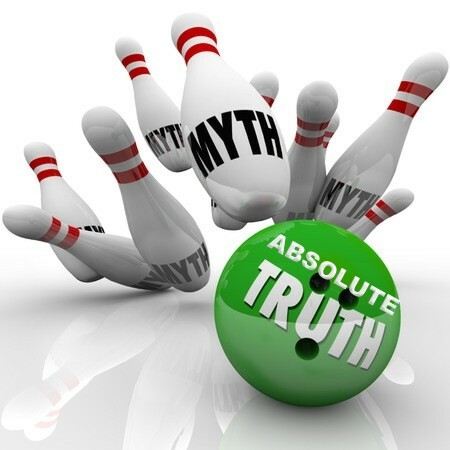 For the person that says that there are no objective truths, I would ask them “Didn’t you just make an absolute statement that there are no absolute or objective truths?” It seems to me that they just contradicted themselves by saying that there are no absolutes and saying it with absoluteness! If he said there is no objective truth, how can I believe what he said since he claims there is no objective truth? To most of the world, truth is relative and it is subjective, so I suppose he based his reasoning upon his personal opinion, but opinions vary like shapes and sizes of noses. Each one may stand out to them, but others see it differently. I believe that there are most certainly objective truths. Two plus two will always be four, regardless of a person’s feeling about it. Imagine a 1st grader saying to the teacher, “Well teacher, to you 2 + 2 is 4, but to me, it can be any number I want it to be.” That is as absurd as saying that there is no absolute truth and saying it as an absolute statement. This is totally irrational and illogical. When Jesus was talking with the woman at the well in Samaria, she told Jesus “Our fathers worshiped on this mountain, but you say that in Jerusalem is the place where people ought to worship” (John 4:20), but “Jesus said to her, ‘Woman, believe me, the hour is coming when neither on this mountain nor in Jerusalem will you worship the Father. You worship what you do not know; we worship what we know, for salvation is from the Jews’” (John 4:21-22), so He tells her “the hour is coming, and is now here, when the true worshipers will worship the Father in spirit and truth, for the Father is seeking such people to worship him” (John 4:23). Jesus went on to tell her, “God is spirit, and those who worship him must worship in spirit and truth” (John 4:24), so we can worship God any place but we must do so in spirit and in truth. Without worshiping God in truth, or biblical worship, we are worshiping Him in vain. Truth is so vital to worship God that Jesus connects worshiping God with the spirit but most importantly, worshiping Him in truth. If we rationalize the “truth” then it’s not the truth anymore but a subjective opinion, and again, subject to error. The early church studied the truth in the form of the apostle’s doctrine (Acts 2:42). They didn’t come up with their own truth but focused on the truth found in Scriptures and in the Person of Jesus Christ. We don’t have to search high and low to find the truth because we can simply look to Jesus Christ. He said “I am the way, and the truth, and the life. No one comes to the Father except through me” (John 14:6). He did not say that He is one of many ways or that He is one of many truths, but He is the one and only way, just as He told the disciples “No one can come to me unless the Father who sent me draws him. And I will raise him up on the last day” (John 6:44), and “no one” means, no human can come to Jesus without God’s calling Him and it must be through Jesus Christ, for there is no other way (Acts 4:12). This destroys the belief in universalism, where “we’re all God’s children” and the belief that God would not send anyone to hell, saying “God is a God of love,” which is true, but we must have the whole picture of God and not just the attributes we like while leaving the others out. God is holy, just, good, and requires satisfaction of His wrath, so to say that God is only love is to fashion a god after their own likeness and after their own image. We must have a Scriptural view of God and not one of subjective human opinion, because mankind’s history with the truth is not good. If you have ever doubted some truth, I am sure it wasn’t the Bible. It’s good to be skeptical in some ways so you won’t accept everything you hear as truth. We must examine what we hear and read and place it against the Word of God because only there can we find the rock-solid truth that never varies or wavers and does not change with the time to make it more relevant to the church. If it’s new, it’s not from God, and if it’s from God, it’s not new. That’s because God’s Word is truth and it cannot be changed, even by human opinion. Read more about the truth here: What Does it Mean to Worship in Spirit and Truth? Previous post: Why Doesn’t God Stop Or Prevent Natural Catastrophes?